Mr. Beirne is a member of the Commercial Litigation,Government Relations and Real Property Tax Certiorari practice groups. He specializes in litigation, arbitration and appeals. Mr. Beirne represents clients in connection with complex business and governmental disputes. His clients include the Town of Ossining, New York, Westhab, Inc. and Minskoff Realty & Management Corp. Prior to joining the firm, Mr. Beirne was Town Attorney for the Town of Ossining, New York (1976-77; 1998 to the present). He was an associate in the law firm of Cuddy & Feder LLP (1975-1978) and a partner (1978 – 2006). Before that, Mr. Beirne was an Enforcement Attorney and later Chief, Branch of Enforcement, for the New York Regional Office of the U.S. Securities and Exchange Commission (1969-1975). He also worked at the U.S. Federal Communications Commission (1966-1968). Mavis Tire Supply Corp. v.Town of Ossining, et al., N.Y.S. Supreme Court, Westchester County; Decided September 27, 2010, by the Hon. 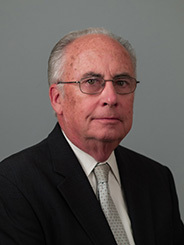 John LaCava, J.S.C. Jewish Board of Family & Children’s Services, Inc.
Minskoff Realty & Management Corp.